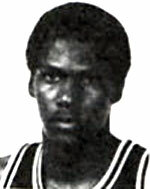 Drafted: Selected by the Indiana Pacers in the second round (26th pick overall) of 1983 NBA Draft. He is stile a great guy who loves the chids he teaches. what a great player and guy LeRoy was/is!